Police are looking for a 33-year-old northwest suburban woman and her two young children, who have not been seen or heard from since Saturday night. 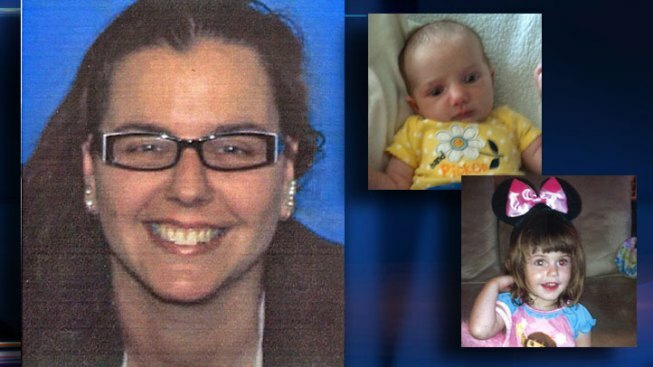 Aneta M. Marsek, 33, of Volo, and her daughters, 2-year-old Chevelle and 4-month-old Macenzie, have not been seen since about 7 p.m. Saturday, Oct. 6, when they left her parents’ home in Wauconda, according to a missing persons alert from the Lake County Sheriff’s office. Marsek, of the 200 block of North Cornerstone Drive in Volo, was reported missing about 4:15 p.m. Wednesday by her estranged husband. But Marsek's brother, Will Czaja, said the husband has been fully cooperative. "There's no foul play involved," he said. Investigators seemed to be covering all bases and spent the entire day processing the woman's home as a crime scene as troubled neighbors looked on in disbelief. "This doesn't seem in character for her which is, I think, why we're so surprised," said Andrea Miculinich. Marsek is described as a white woman who stands 5 feet, 10 inches tall and weighs about 150 pounds. She has brown hair and hazel eyes. Chevelle is about 30 inches tall and weighs 30 pounds with brown hair and eyes; while Macenzie is 28 inches tall and weighs 25 pounds, also with brown hair and eyes. Marsek’s vehicle, a black Chevrolet Trailblazer, is also missing. It has Illinois plates CZAJA28 and may have rear bumper damage from a recent accident. Anyone with information should call the Lake County Sheriff Department's Criminal Investigations Division at 847-377-4250 or 847-549-5200.